Bladen County Animal Shelter has cats and dogs available for adoptions. 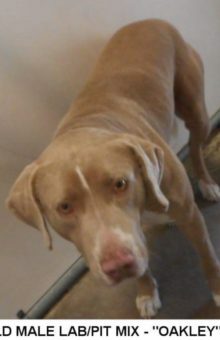 The “Pet of the Week” is a two year old dog. 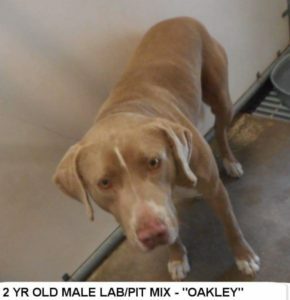 Named by the shelter staff, Oakley is a mix between lab and pit breeds according to Karen Suggs, Bladen County Shelter Manager. She said Oakley is a sweetie. The shelter is open to the public Monday through Friday Noon until 5 p.m for adoptions. For more information visit the shelter’s Facebook page, call them at 910-862-6918 or visit their location, 506 Smith Circle, Elizabethtown.